I feel like I am on a weekend hangover right now. We packed in so much in such a short amount of time, I need another weekend just to recover from this one. Jason and I drove up to Holland, Michigan for the annual tulip festival today (more coming on that next week, but if you follow my Instagram stories you already got a sneak peek). And on Saturday, we had our annual Cinco de Mayo celebration where we all conveniently forgot about working on our summer bodies and threw down on all the Mexican goodies we could fill our bellies with. I did make a cheesecake for dessert, but my poor little heart broke when I took it out of the fridge and it almost immediately began to sweat and sink in. I don't know if it was from the humidity or the heat, but it was a total bust. Thankfully, I did have another dessert prepared, Lime Cooler Squares, which ended up being a hit, so I didn't mourn over the cheesecake for too long. 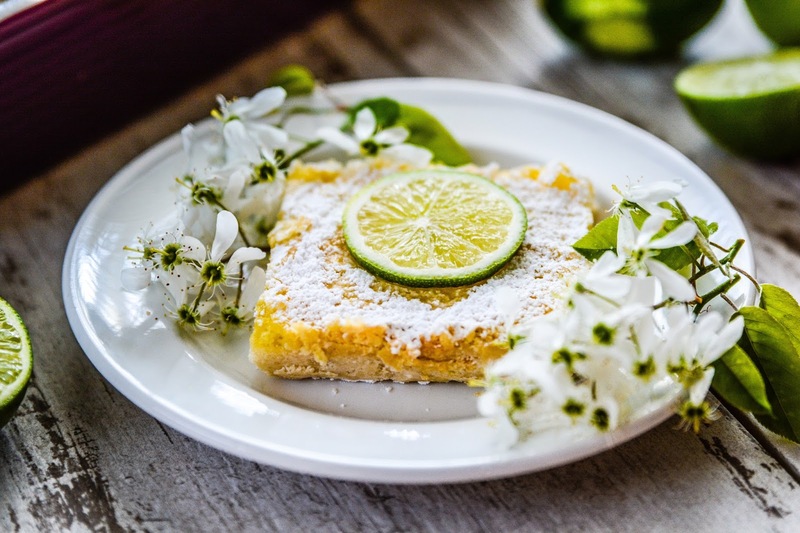 The sweet cookie base offsets the tartness of the lime filling, making it a perfect combination of sweet with a bit of citrus tang in every bite. 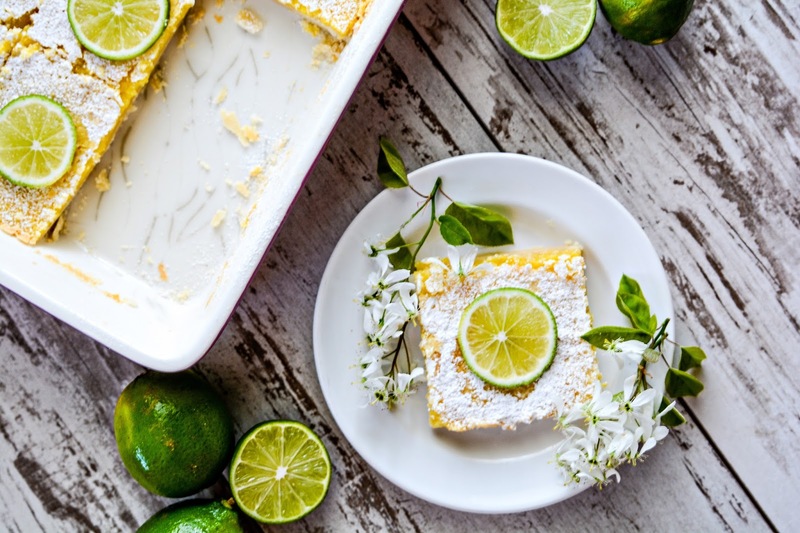 Even though Cinco de Mayo is over, it's still acceptable to whip up a batch of these lime cooler squares along with a pitcher of margaritas, then invite your best girlfriends over for drinks and dessert. Or, just save the recipe for those endless BBQ's and picnics now that summer is right on our heels. These squares are sure to be a summertime favorite! In a large bowl, combine 2 cups flour and confectioners’ sugar; cut in the butter until the mixture resembles coarse crumbs. Pat into a 13-in x 9-in x 2-in baking pan. Bake at 350 degrees F for 20 minutes or unitl lightly browned. In a large bowl, whisk the eggs, sugar, lime juice and peel until frothy. Combine the baking powder and remaining flour. Whisk in egg mixture. Pour over baked crust. Bake for 20-25 minutes, or until golden brown. Allow to cool, then dust with confectioners’ sugar. Garnish with sliced lime rounds if desired. Serve. Can't wait for the tulip festival report, you know I adore tulips! Such glorious photos, you know I sometimes use your photos as wallpapers when you hit amazing colours on them like on these refreshing ones! These look so nom I cannot stand it! Hope you did not miss the lovely recipe I shared on Facebook yesternight, wasn't it creative and charming? You know tulips are my favorite as well. Mine are in full bloom in my yard now and I love going outside and admiring them every day. That's so sweet of you to give my photos a place on your computer ♥ These were just too nom, I ate more than my fair share. I usually do lemon desserts, not lime, so it was a welcome change. I did see your recipe and thought it was genius! A little more work than I'm used to, but I think it would be awesome for a baby shower or bridal party too. Never would have thought of using limes in such a way at our bay. Stinks about the cheesecake, but at least you had a backup. We still ate the cheesecake, though it was a soupy mess. Still good, just not pretty lol. I'm glad you got away, but I do understand needing a vacay after a vacay. I baked, bought a laptop of my own. I've been using the school's laptop for many years. That's a perk I'll miss if and when I get another job. I cleaned, did laundry, got Isaak's birthday photos taken, baked (somethings were success, some were not), went to Toys R Us across town to drop the boys off at a movie with my sister, and more. It was a busy weekend. 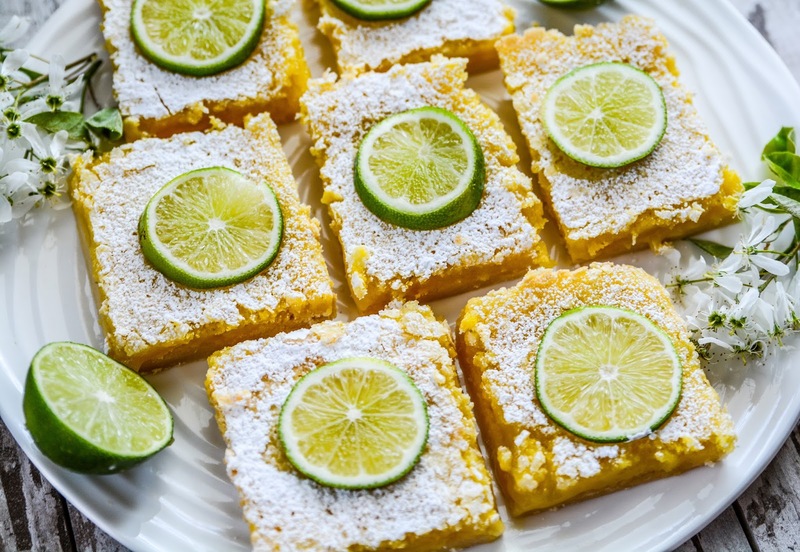 The lime squares look good! I bet it tastes good with lemon ones too. In fact you could do every other square - lime, then lemon, to make a checkerboard pattern. You always have such busy weekend, I don't know how you do it all. I hope the boys liked the movie. I know Mica was looking forward to seeing one with his aunt. I love the alternating citrus flavors idea. I'll have to remember that for next time! I'm sure you packed in a lot during your Washington trip. There's so much to see and do there, I hope you were able to squeeze in everything you wanted to do there. That recipe sure sounds like something I would like. Thanks Mary! It's a really delicious dessert, especially if you love citrus desserts. Lime is so refreshing int he summer time. I am totally making these for my step-son's graduation party coming up in a few weeks. These look so sweet and refreshing for a great dessert. I have to try making these for my son who has a sweet tooth. I am loving the idea of making these lime cooler squares. They look super yummy. It looks soooo good! Hubby would love this recipe! I can't wait to try it! This looks really delicious! Such a refreshing dessert! I am loving all these recipes with lime or lemon. It is just so refreshing and tasty! 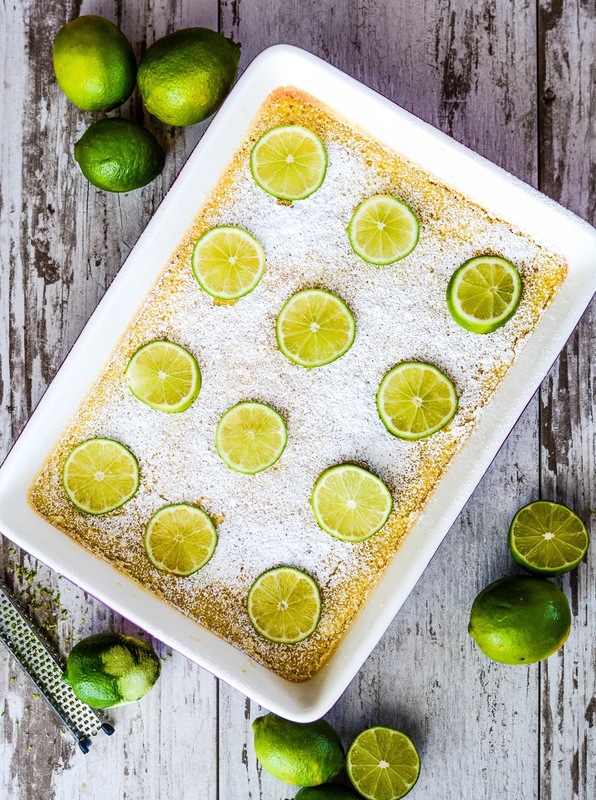 I am going to make this lime cooler squares for Mother's day. Me and my sisters will be at our mom's house for a little celebration. I bet this dessert would be a winner! That's it...I'm moving in! You make the most delicious stuff. Theresa ! What beautiful recipe, I love limas ! hugs!